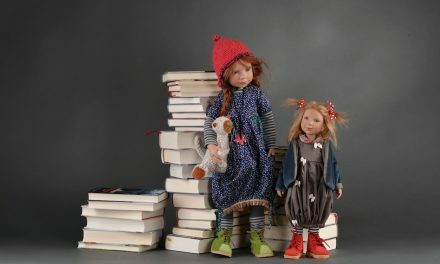 After dedicating her Kusch­elchen dolls to her granddaughters, Viola and Camilla, bear and dollmaker Ruth Treffeisen of Germany, thought it only fair to dedicate her Little Stars in the Doll Sky line to her youngest granddaughter, Alina. 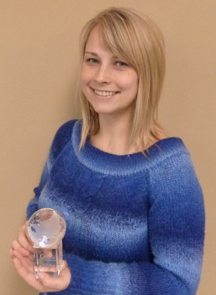 “It’s been a wonderful challenge that Alina has enthusiastically participated in time and time again. Her ideas and wishes motivate and inspire me,” says Treffeisen of her pint-sized partner. Although the beaming beauties of the line are play dolls, their expressive faces, high-quality construction and designer wardrobe draw adults to collect them as well. “It is my desire that they bring fun and joy to young and old alike,” Treffeisen says. The 12½-inch playmates are constructed of phthalate-free vinyl in accordance with the EN71 standards that ensure child safety. They feature rooted hair, and full eyelashes frame their wide eyes. 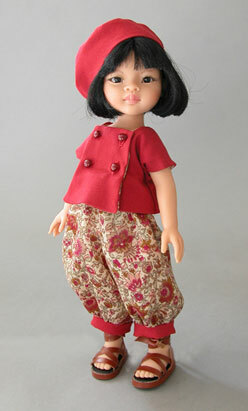 The dolls are jointed at their necks, shoulders and hips for maximum flexibility during play. The Stars come in a wide array of costuming, from classic to modern. “While I continue to offer my original sporting designs, like horseback riding, tennis, golf, ballet and gymnastics, I like to present a fashion design through unique outfits. For costuming, I regularly draw on my life experiences and impressions,” Treffeisen says. 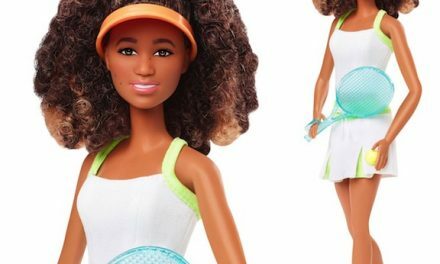 Although some of the dolls sport collector-oriented limited-edition numbers not sold separately, many of their outfits are, so young collectors can build their Star’s wardrobe. Whatever the costume, Treffeisen uses only high-quality mat­erials and fabrics. “I personally autograph and custom-design shoes, and I use pure silks, wools, furs and genuine, natural linens,” she says. 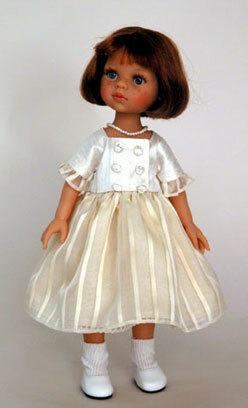 The high-quality materials and fabrics used for costuming on her play dolls, she says, are a good way to introduce young people to treating and caring for collectible dolls.